Finally, rim shows the world that it knows change is needed. It looks like the shake up everybody has been expecting at RIM has finally come to pass. Jim Balsillie and Mike Lazaridis will each step down from their co-CEO positions amid growing turmoil in the company and fears it won't be able to rebound itself in time. 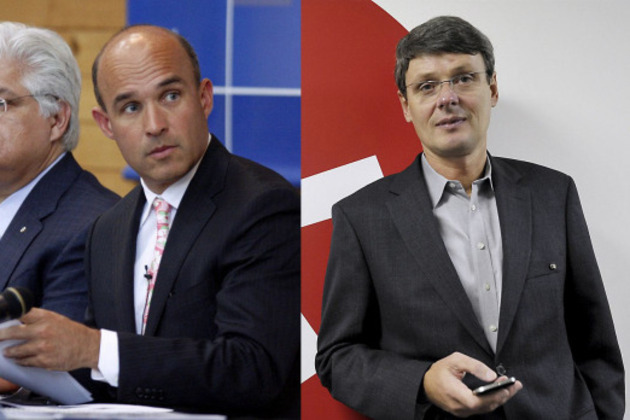 They will be replaced by one of RIM's two COOs, Thorsten Heins, according to the Wall Street Journal. Additionally, another board member, Barbara Stymiest, will replace them as chairwoman of RIM's board. Lazaridis will become the vice chairman on the board and Balsillie will also remain on the board, but "without any "operational role," according to Bloomberg. Both will retain significant shares in the company.